At Parkland Transmission, our goal is to build customers for life. To do that, we need to pair our high-quality transmission care with a personable and transparent shop experience. When you visit us, know that you’ll be greeted by service experts that’ll give you the attention you and your vehicle deserve. We’ll first listen to the problems that you may have, and then we’ll take a detailed inspection of your vehicle’s transmission system. Afterward, we’ll provide you with the repairs you need and show how you can avoid those problems in the future! We take a complete view of your visit, from the front desk to the garage, so you can have the best auto care experience possible. Our team takes pride in offering you the best transmission care in Alberta, CN. Our customer-centric approach to auto care is why we’ve proudly served our community for over 30 years. Whether you need a complete transmission replacement or a quick checkup, make sure you visit Parkland Transmission in Red Deer, AB.  Give us a call at 403-342-1700 and schedule your service appointment with us today! Or visit our shop at 4702 51st Avenue! Awesome business to deal with. On 2 occasions we’ve brought in vehicles with suspected transmission issues and been assured that there were no problems. No gouging or extra charges… just good, friendly service. Highly recommended. Since 1980, Parkland Transmission has been the leading transmission repair shop in Alberta, Canada. We build customers for life by taking a customer-centric approach to transmission repair! With over 30 years of experience, our team understands the requirements needed to maintain our spot as the leading transmission specialists in Alberta. It requires an involved approach with our community and a factory-level understanding of our craft. Our staff is trained to not only handle every repair but also answer any question you will have about transmission care! Our shop is also a proud member of the Automatic Transmission Rebuilders Association (ATRA) since 1985 and we stay up-to-date with the latest tools and trends to come out of the transmission repair industry! Our staff will be able to provide you with a comprehensive solution and explain it in a way that you’ll understand. Some of our services, which are for specific makes and models, include but are not limited to general transmission maintenance, transmission repair & replacement, differential diagnostics, and driveline repair & replacement. Our shop is also equipped with six vehicle bays and a clean waiting room, so your time with us is quick and comfortable! Know that if your vehicle needs transmission care, Parkland Transmissions’ talented and experienced staff will be ready to get your vehicle back on the road!